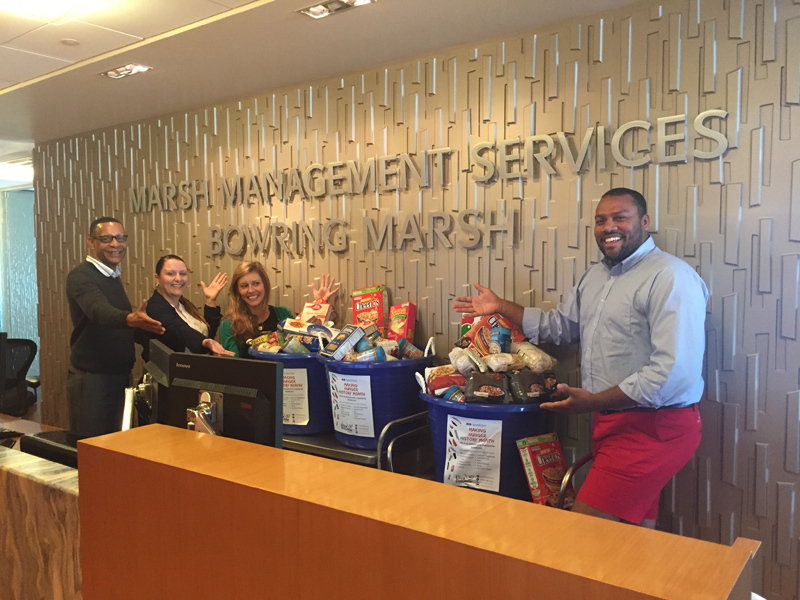 Marsh and Guy Carpenter announced today its participation in The Eliza DoLittle Society’s [TEDS] annual Making Hunger History initiative. Marsh and Guy Carpenter are wholly owned subsidiaries of Marsh & McLennan Companies [MMC], a global professional services firm offering clients advice and solutions in the areas of risk, strategy, and human capital. The Eliza DoLittle Society is a registered charity that aims to address the needs of those in Bermuda who are food insecure and hungry. 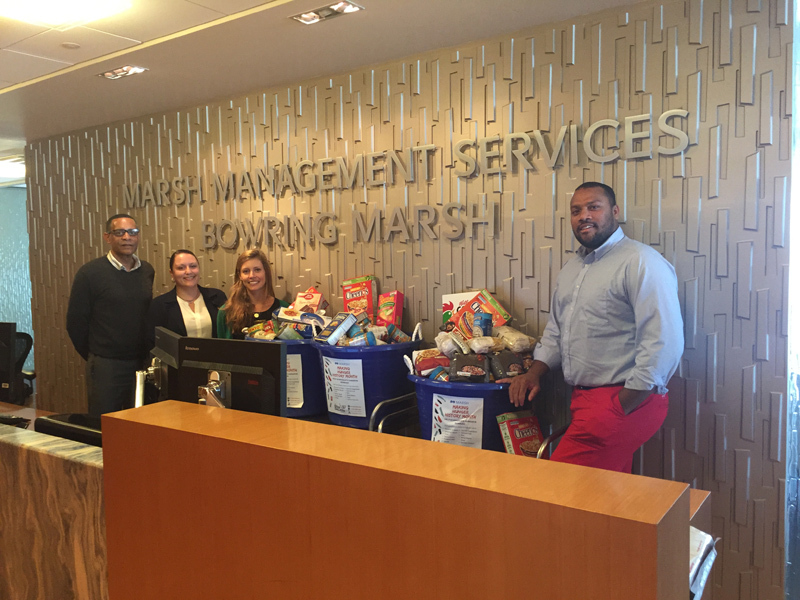 As part of this year’s Making Hunger History initiative, which is now in its 7th year, Marsh and Guy Carpenter employees donated four barrels of non-perishable food items, such as canned and dried goods, to the cause. The food items were then collected by TEDS and distributed through their food bank in Warwick. To learn more about TEDS, visit here.